Music Tuition in Wakefield - Book Private Music Lessons Online! Musician Go is a brand new website for finding music teachers in your area. 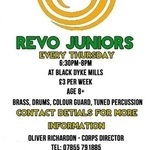 Find music tutors living in Wakefield, West Yorkshire and book lessons directly on Musician Go! Our powerful search functionality allows you quickly refine results by location, genre, instrument, keywords and teaching level. Our website has a very simple aim. We want to help all instrumentalists from complete novices to musical veterans, find a music teacher to help take them to the next level. 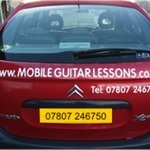 Use Musician Go to find local tuition for guitar, piano, bass, drums, brass, woodwind, music theory and vocal training.